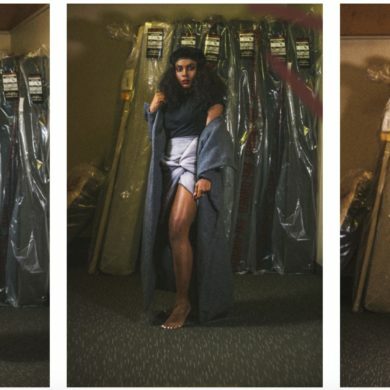 Our 7 MFA students are putting the finishing touches on their collections for New York Fashion Week (our show is Sept. 12 in Bryant Park’s big tent in case you didn’t know) and Fashion School Daily infiltrated the work room to ask them some questions about their collections. Marina Nikolaeva Popska showed us some of her sketches, knits and described the inspiration for her nature-meets-humanity collection. For more on our MFA Designers and their Fashion Week collections click here.